The evening was shaping up to be perfect. The sun had just started to hit the top of the buildings on the other side of the river. I sat down and exhaled slowly, acutely aware of the warm, gentle breeze on my face. This sunset would be gorgeous. It had been raining and there were still enough clouds in the sky to create a breathtaking panorama of oranges, purples, and yellows. I drank it all in and said a quick prayer of thanks. I missed my family, but I appreciated this moment too. The funny thing is, I spent the entire evening by myself. I could have chosen to go out to dinner with my colleagues, but instead I chose to savor a medium rare steak and fresh-baked bread in solitude. I knew they would be out having fun somewhere, but I opted instead to spend some time collecting my thoughts. So, after dinner I took a walk, enjoyed the extended hours of a local art museum, and then sat still long enough to enjoy this gorgeous sunset. I am not sure I would have had the confidence or the patience to ‘go it alone’ like this 20 years ago. 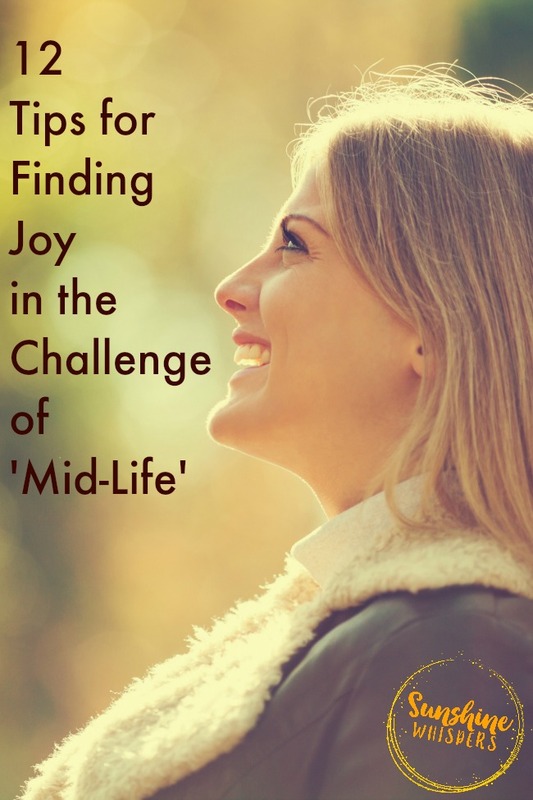 That is one big way in which I have learned to find joy, even in the challenge of ‘mid-life.’ I am starting to learn to embrace the gift of middle age. Of course it isn’t easy. Finding peace in the middle of chaos never is. However, with each life hurdle cleared and each crisis navigated, I have learned a few reliable tips for how to embrace the little moments of joy. The challenges of middle age look different for every person, but my hope is that you will find these tips help you manage better, maybe re-frame your challenges, change your mindset, and ultimately help you feel more calm, more content, and more in control of circumstances that can easily leave you feeling like you have no control. Most of these tips will not take much, if any, time. They are perfect for those days when you are feeling overwhelmed and discouraged. Just run through this list and pick the one that fits your need at the time. If you do nothing else, do this. Stop where you are. Close your eyes. Count to 5 as you inhale through your nose. Then slowly exhale through your mouth as you count to ten. This one trick can have a huge impact on your mood when you are feeling frazzled, overwhelmed, or just irritated. I love this tip. I have used it on my drive home from work. I have used it a lot (unfortunately) after a snippy conversation with a co-worker. There is tons of research on the benefits of intentional breathing. It slows your heart rate, relaxes your muscles, and has been proven to both increase your energy levels, and decrease feelings of stress. Make time to reconnect to your friends. Bonus if you reconnect in person. Grab a cup of coffee. Go for a walk. Sit on a bench and let the kids run around on the playground. It doesn’t have to be a grand gesture. However, the benefit to your emotional health cannot be overstated. We were meant to fellowship with each other. The quickest way to not feel isolated is to consciously connect with another person. Have you noticed that it is next to impossible to be sad when you are helping others? Plan to serve, and I am not talking about your everyday role as a caretaker and homemaker either. Visit someone in the hospital or nursing home. Serve food at a homeless shelter or food pantry. Take a new Mom a meal. When you give of yourself, the gift you receive is a renewed sense of purpose and meaning. When life is hard for you, it is often really difficult to realize that others around you are also suffering through their own set of issues. Cultivating a habit of encouragement will teach you to be more forgiving of yourself and more empathetic with your friends. Besides, we need each other. Support others and you will receive support yourself. Consciously choose to focus on what is going right in your life. Write it down. You can start a gratitude journal, create a gratitude jar, whatever works best for you. Once you get in the habit of looking for life’s joys, you will realize that oftentimes the joy is sprinkled in among the daily pains and irritations. 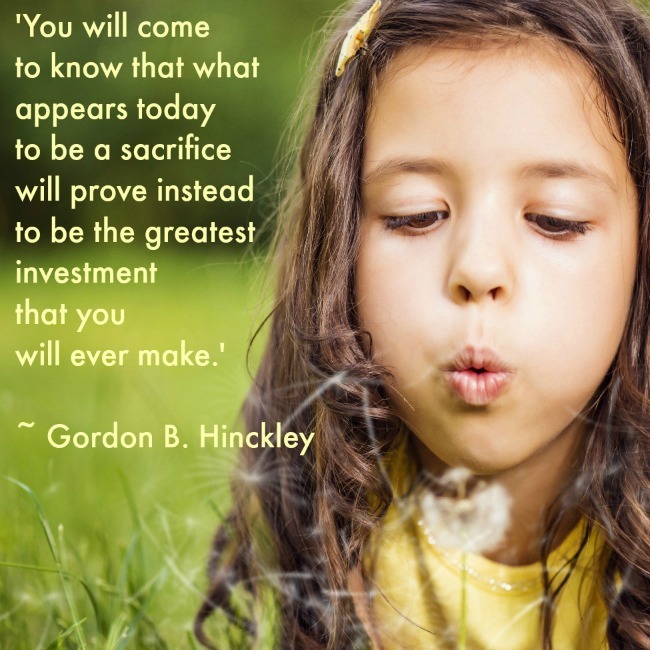 Identify the things that are in your sphere of influence. Forget everything else. What can you control? Seriously, out of all the things that are on your heart and mind, which ones can you actually do something about right now? That is your sphere of influence. Don’t worry about everything else. You can’t change it.. at least, not yet. Be okay with that. Focus on one thing. Try not to become overwhelmed with your never-ending to-do list. Pick one or two items on that list and devote the majority of your time and effort to doing them. One sock at a time. Don’t try to tackle everything at once. This middle age life is a marathon, not a sprint. Besides, you don’t want to completely burn out before it’s time to kick back and enjoy your golden years. So, focus your efforts on one area of improvement at a time. You will be pleasantly surprised at how effective that strategy can be. Try not to be discouraged. Anything worth doing, any progress worth making, will take time. Don’t focus on minor setbacks (potty training regression, junior prom, etc…). Look for the small blessings in life like the joke told around the dinner table, an inspiring chapter from the latest Anne Lamott book, the look on your daughter’s face when she runs over to tell you she loves you. This is the good stuff. The small stuff is not small. It is what makes the middle of life a joy to behold. Find a system that works for you and implement it into your life. Do you need to prep lunches and snacks for the week on Sunday? How about that to-do list? Is it realistic? Are there pockets of time you can identify and use to be more productive? Or meditate, or be mindful. As a Christian, prayer is so very essential to the concept of well-being. Plug in to the eternal and let His spirit intercede for you. Adopt a ‘this too shall pass’ mentality.’ Are you feeling isolated? Is your health not great? 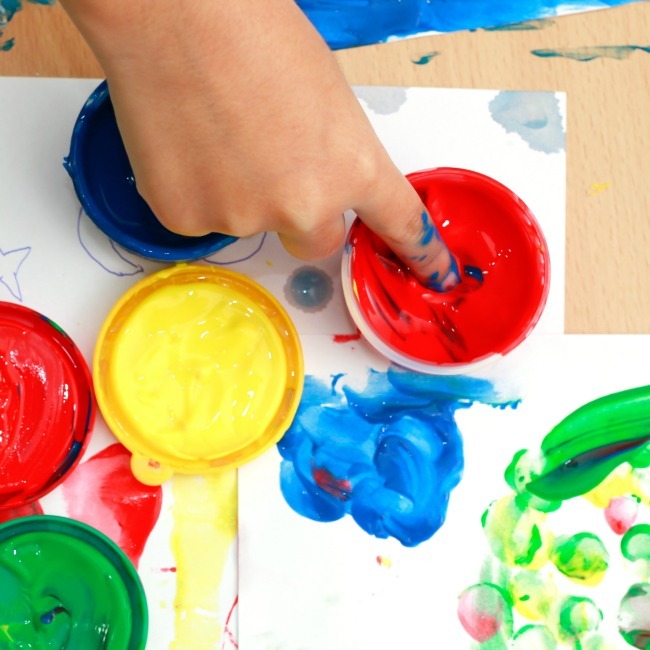 Are your kids going through a crazy period? Well, it won’t last forever. You might have to grit your teeth and count to 10, but if you practice these tips, you won’t even have to wait until retirement to find your silver linings. You will start to see them every day. If you follow these tips, you too will get to a place where you not only manage the middle, but you will embrace and savor it! As I sat on the river’s edge and enjoyed the quiet solitude of a beautiful sunset, I took a moment to reflect on my life. Life in the middle will always be a bit chaotic, complicated, and not exactly what I had imagined for myself. Well, thank goodness for that! In many ways, I recognized that the life I now live is so much better, so much richer than anything I could have dreamed up so long ago. The challenges make the blessings so much sweeter. This evening was definitely a blessing, and I was so grateful for the chance to have a few moments of peace. But before long I felt a familiar tug of longing. So, I got up, walked back to my hotel, and prepared to return home to the chaos, but also to my heart. And that realization- that the chaos and the love coexist- that is the gift of life in the middle. 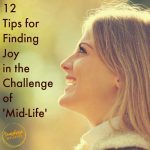 That is finding joy in the challenge of mid-life! Speaking of savoring the middle, I have some exciting news to share with you! My friend Kelly, who blogs at The (Reformed) Idealist Mom, just launched a fantastic book on how to maximize joy, even in the midst of craziness. 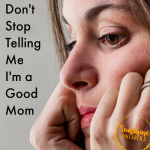 This book is a must if you are serious at wanting to practice Mommy self-care. 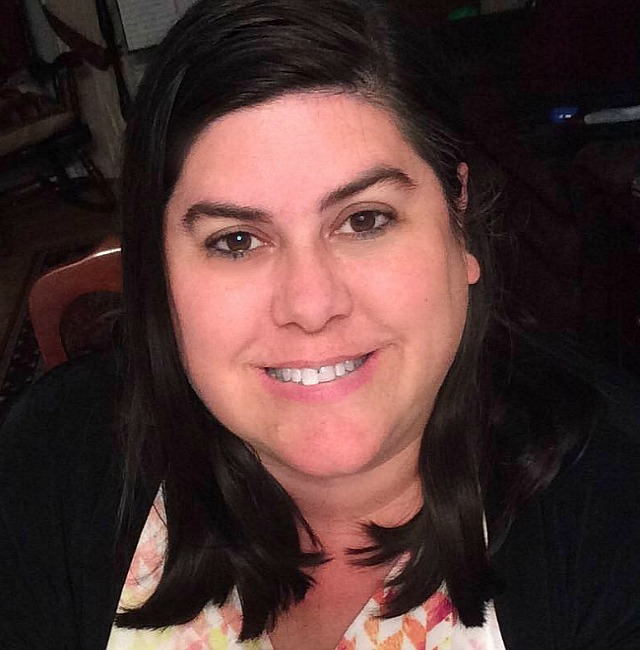 Kelly gives tons of practical tips on how to prioritize your overwhelming to-do list, ways to find your joy, even when you are overwhelmed, and nine secrets to being a happy parent that you really can’t live without. I can’t recommend this book highly enough. If you are interested in seeing for yourself why the book rocks, click on the picture below! Funny that your last point was “This too shall pass” as that was my first thought as I was reading the first half of this blog – great minds think alike – ha! Hate to tell you this, but the “golden years” are even busier than those middle ones – something for all of you to look forward to! !